Not for the first time this year we found ourselves at Trent Bridge, the home of Nottingham cricket club. 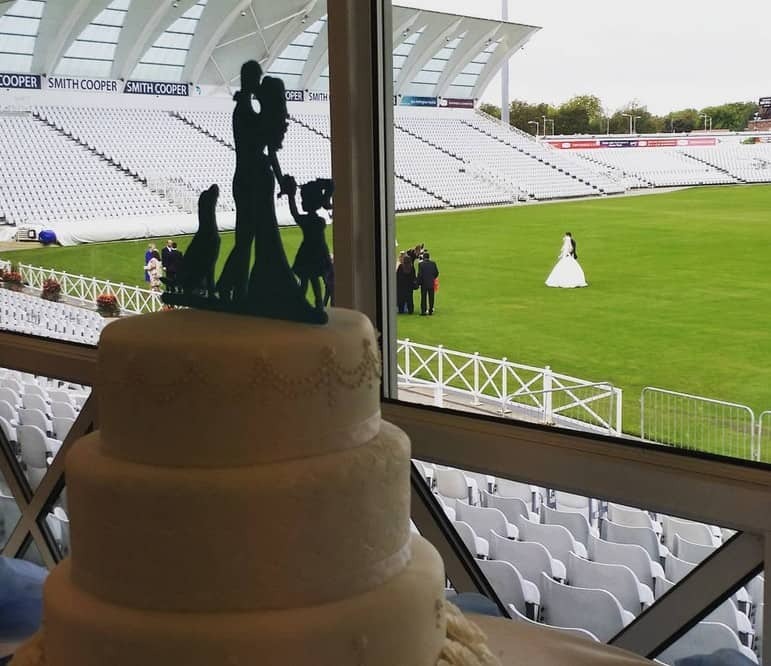 From our view over the majestic sweep of the hallowed turf, we could imagine former player Chris Broad hitting a six off a middle leg, Luke Fletcher bowling a classic right arm medium fast or Kevin Pieterson arguing with the umpire. This of course is true – we ARE great. Why? 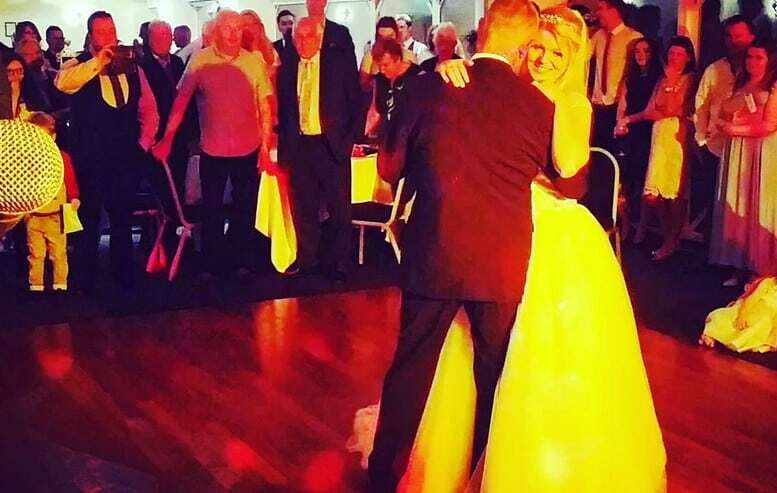 Because in addition to two hours of instantly recognisable dance floor-friendly classic and contemporary live music, we also provide a manned DJ service, a top of the range sound and lighting system, and we also learn requests including first dances. And the fact that we perform up to 95 bookings per year means that we are ridiculously experienced, too. 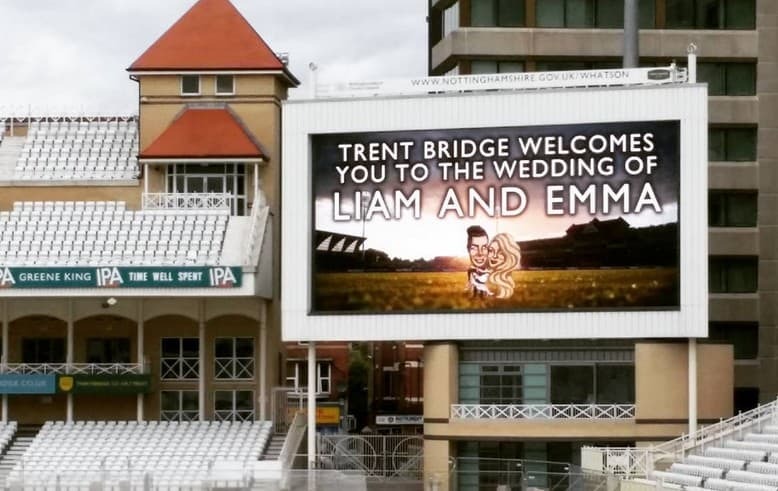 So arrived at Trent bridge in plenty of time on the day, loaded in our equipment, set up and soundchecked before Emma, Liam and guests sat down for their wedding breakfast and played background DJ music to accompany their meal – a nice little touch. As happens quite often, the meal and speeches ran quite late but as we were set up and ready to play we simply waited until everyone was ready for us. The first dance – “Tenerife sea”, Ed Sheeran, is a great choice for a first dance and one that we play really well. 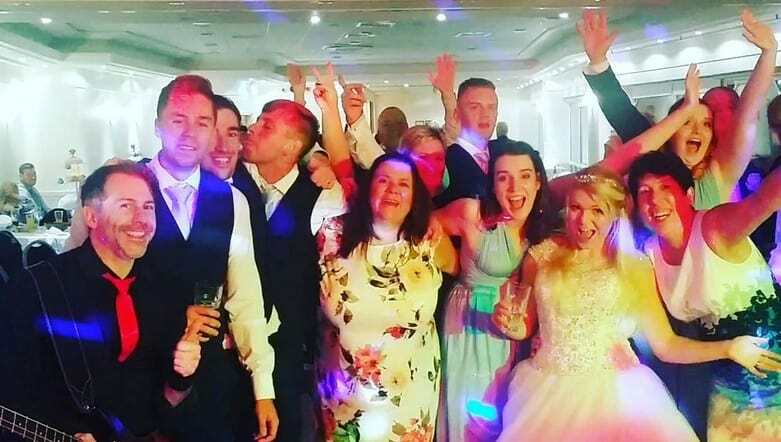 Both bride and groom looked absolutely smashing, and after a verse and chorus of the sing we invited all the guests to join the happy couple on the dance floor. We then played two hours of great sounding music including “Wonderwall” (Oasis), “Don’t stop me now” (Queen), “Happy” (Pharrell Williams) and “Town called malice (The Jam) to a packed dance floor, all night. Emma and Liam told us “you were great. Really good mix of music and just what we wanted!” So if you want to hit your guests for six (see what we did there? ), get in touch and hire Hard to Handle band! Call us on 0796 433 5657. We’re waiting for your call. Do it. Do it now. You know you want to. Bronze, silver and gold packages? No thanks.